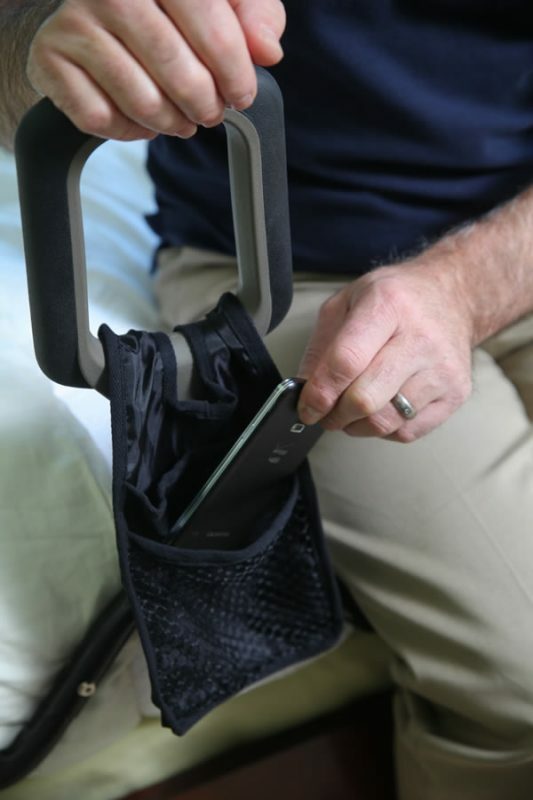 A Pocket Organizer: Provides storage space for handy items. 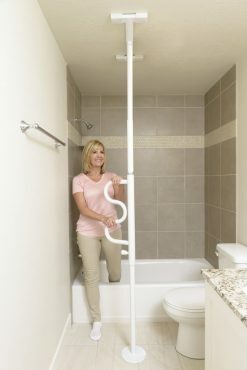 Easy Installation: Installs in seconds with no additional tools required. 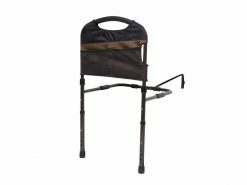 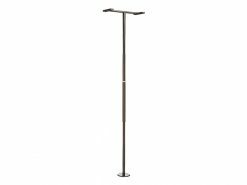 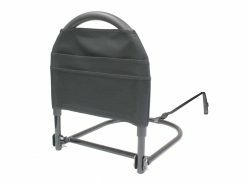 The PT BedCane from Stander combines functionality with style. 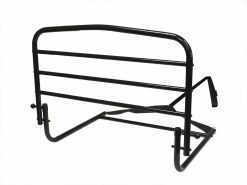 This low-profile bed handle is perfect for anyone needing assistance in and out of bed. 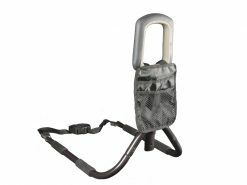 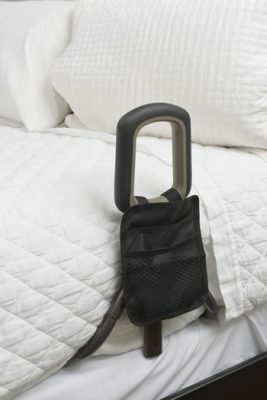 The ergonomic handle allows the user to apply a two-handed grip, providing ultimate leverage when needing bedside assistance. 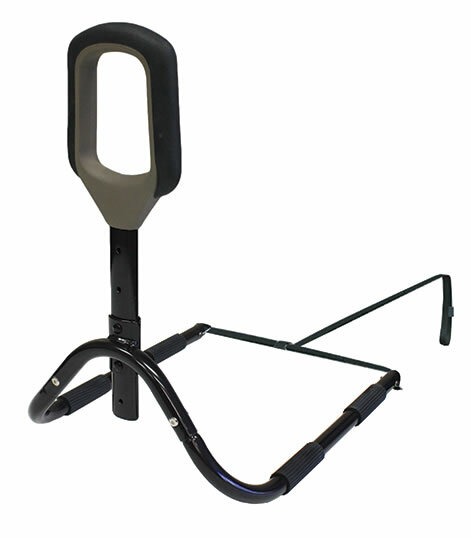 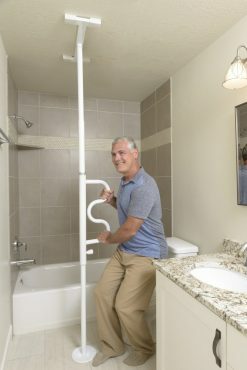 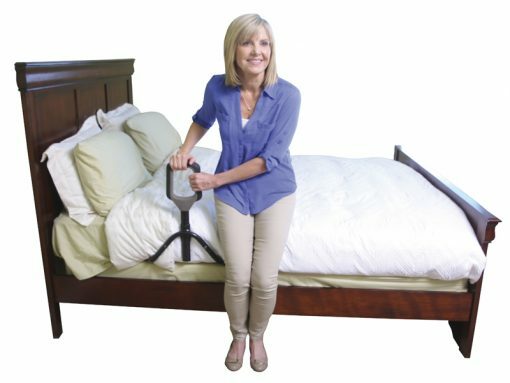 The ergonomic bed handle of the PT BedCane allows the user to gain extra leverage to get in and out bed by using a two-handed grip. 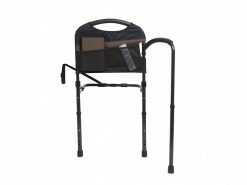 The included organizer pouch is a convenient storage place for smaller items, such as Cellphones, TV remotes, reading glasses, or water bottles. 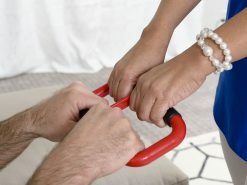 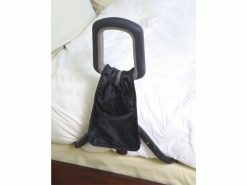 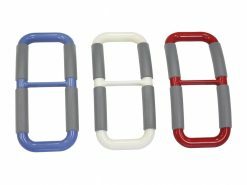 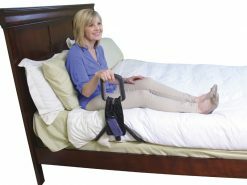 The provided safety strap connects the bed handle to the bed frame on the opposite side of the bed to ensure that the handle will not slip or slide. 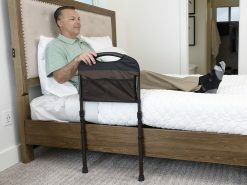 It will provide some fall protection – but it won’t provide as much fall protection as a full-size bed rail. 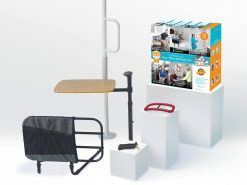 Check out the EZ Adjust Bed Rail and 30” Safety Bed Rail w/Padded Pouch for more fall protection. It supports up to 300 lbs! 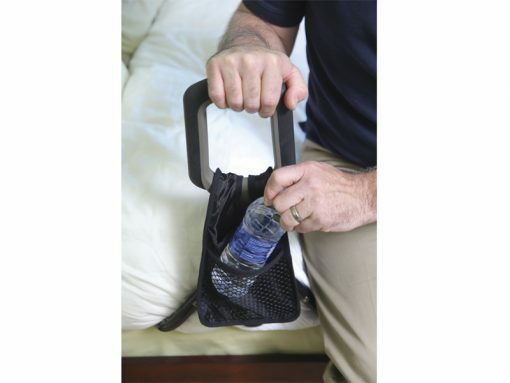 Yes, it comes with a mesh organizer pouch to keep handy items close by. Yes, it works on any adjustable bed when installed above the fold.